At the Adult Care Center we support both our participants and their caregivers. Our staff works closely with caregivers and regularly advises them of any perceived changes or developments in the behavior or health of their loved one. They also give guidance for home care, as appropriate, and recommend reading materials, videos, and other resources. Please call 540-722-2273 for information. Praise for Adult Day Services! Family caregivers of older adults with dementia are less stressed and their moods are improved on days when dementia patients receive adult day services (ADS), according to Penn State researchers. Click on this link and read the full press release to learn more about studies at Penn State. 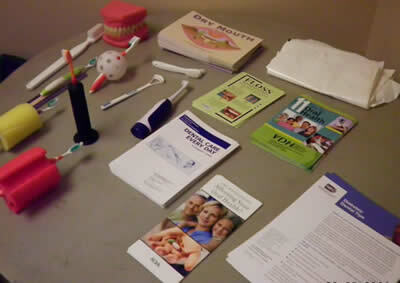 Monthly caregiver meetings are held on different topics, such as dental hygiene, with different guest speakers.